Andrea lives in the same city that my husband works in and we met her through business. 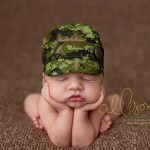 I was so happy when she contacted me to do her maternity and newborn pictures…. She is due any day now and I can’t wait to see her baby and what she has! Evelyn was the smiliest baby I have ever photographed! She was popped Huge grins the whole session- a photographers dream. She and her brother were a pleasure to photograph. Callum was a serious little fellow…. 😉 He was dang cute. His parents are photographers as well and so I felt privileged that they would have chose me to photograph their sweet bundle. On a side note- anyone else sick of the snow? GO AWAY! © 2010 UrbanAlli Photography|ProPhoto Photography Blogsite by NetRivet, Inc.